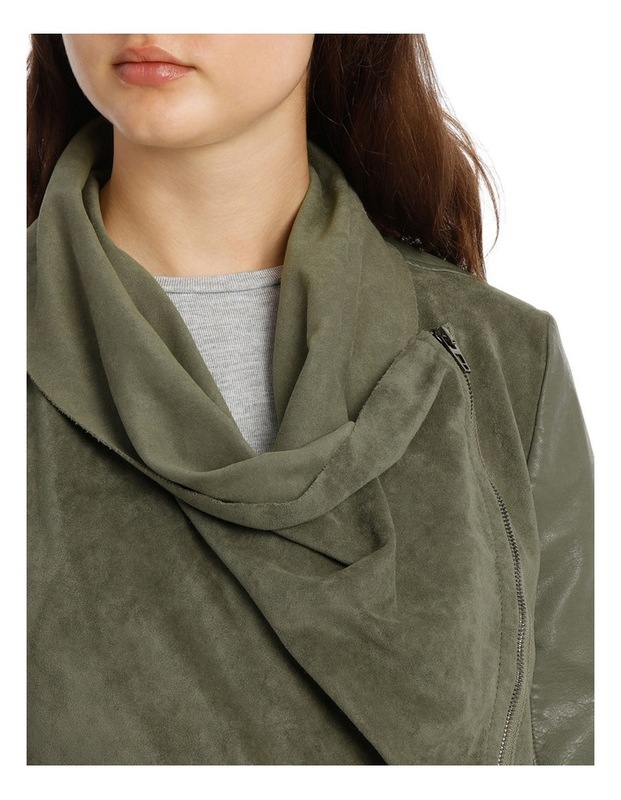 Faux Suede Drape Front Collar Jacket. 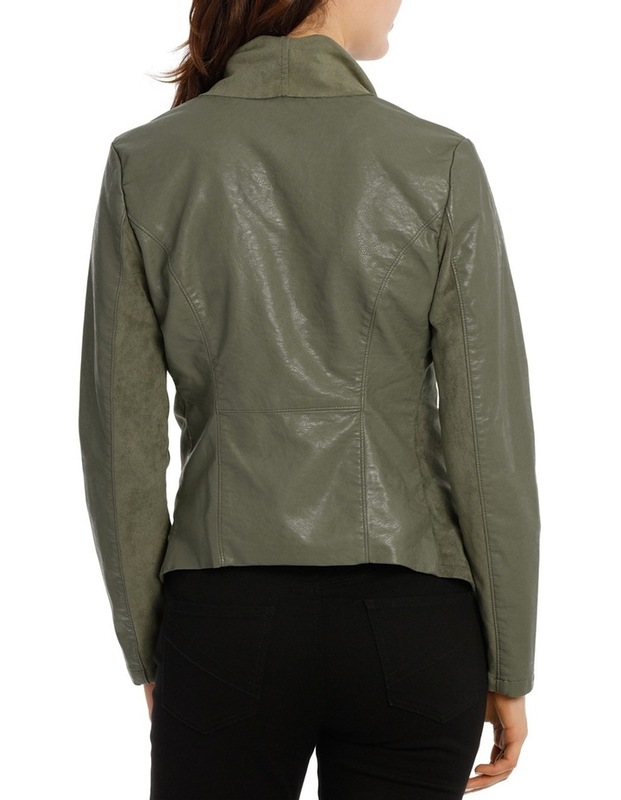 Updated version of our original drape front jacket. 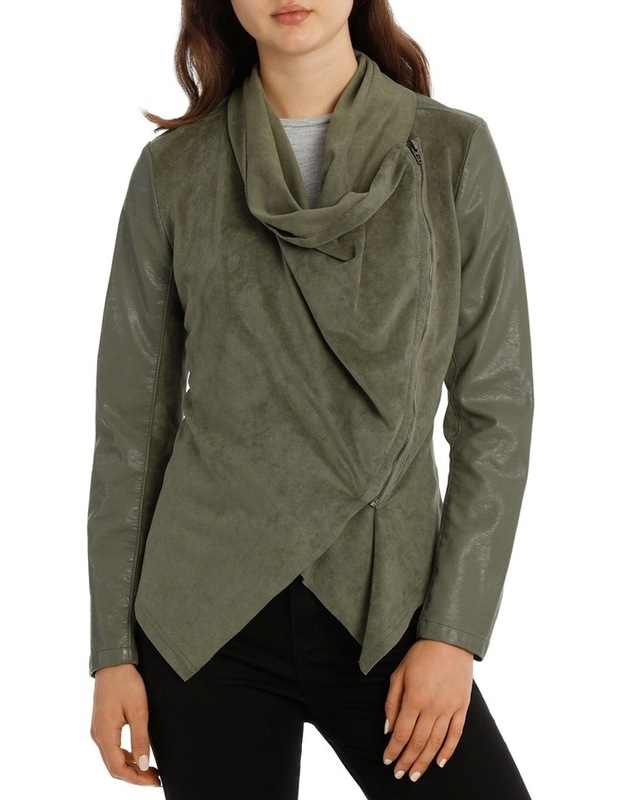 This jacket has a faux suede drape front collar with vegan leather sleeves in a olive color way.